You can also find backpacks at the Frankfort Simon House. 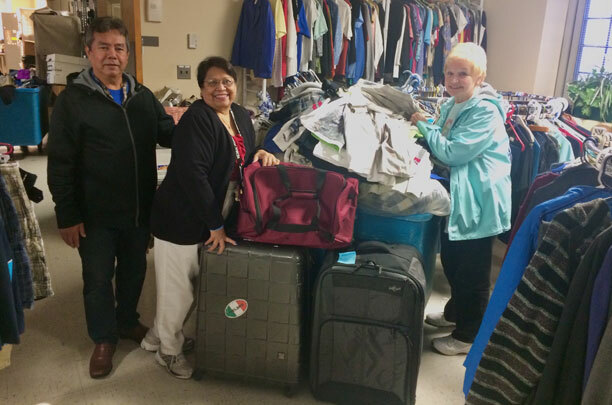 Many thanks to everyone who helped distribute these backpacks, and to the generous grant from the Elks National Foundation that helped fund this endeavor! The Franklin County Senior Citizens Center provides a number of services to seniors in our community, including an emergency food pantry. This pantry helps seniors who are having trouble covering the cost of their food during any given month. 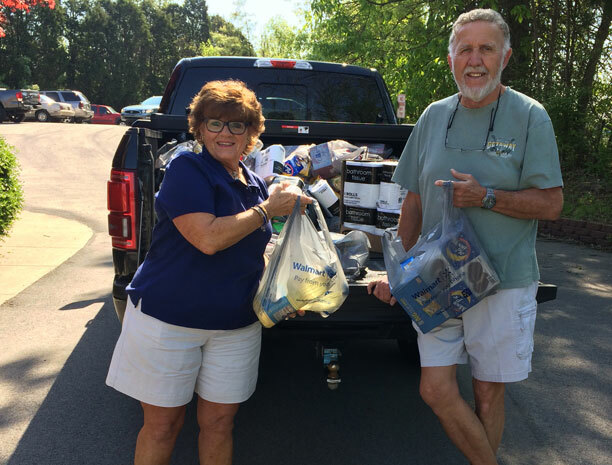 Each year, our lodge steps in to help by donating $2,000 in food and groceries. This gift was made possible through a Beacon Grant from the Elks National Foundation. This year is no exception. Pictured above is Diana Rogers (left), Outreach Coordinator for the center, and Frankfort Elk Bill Moore, PDDGER (right). Also in attendance but not pictured was Frankfort Elk Sandy Moore. This donation has become a yearly tradition for our lodge, and we’re proud to help Franklin County’s seniors in need. Want to get involved? Check out our Membership page for information on how you can become a member! Christmas is a special time of year for Elks. 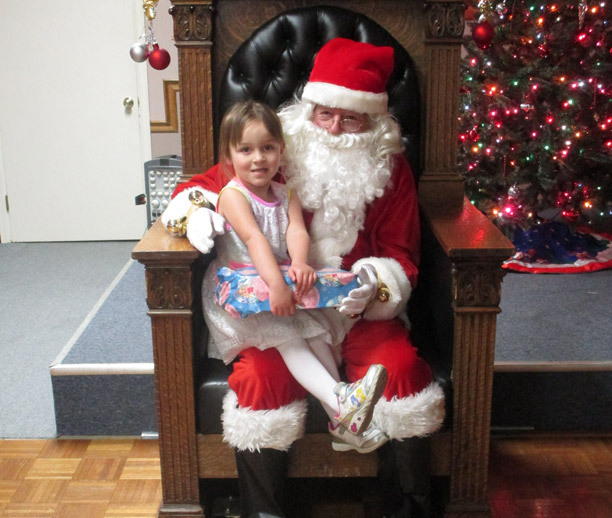 Each year at Frankfort Lodge #530, we invite a group of underprivileged children to the lodge for a Christmas party. This year’s party was held recently, and featured 25 kids getting a visit from Santa Claus, a pile of gifts, pizza, cookies, drinks, and even a Christmas story read by Mrs. Claus. Pictured above is Santa with a special child named Hope. If you’d like to get involved in the great work our lodge is doing, head over to our membership page, or talk to an Elks member about joining. 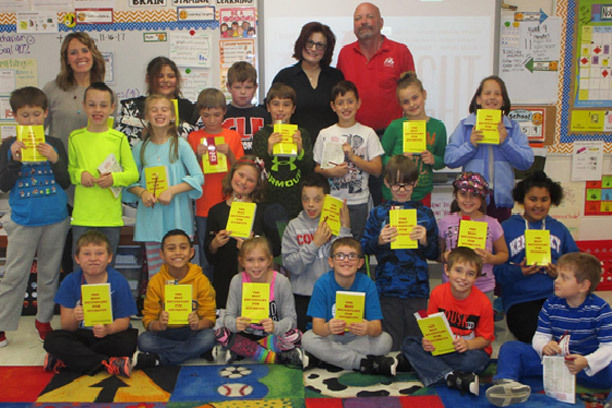 Frankfort Lodge #530 distributed 677 dictionaries, bookmarks and drug awareness ribbons to every third grader in the Franklin County and Frankfort Independent School districts, along with Capital Day, Frankfort Christian Academy and Good Shepherd Schools. Pictured above is Ms. Cracraft’s third grade class from Collins Lane Elementary along with Loyal Knight Mark Ruble and Elk member Leigh Skaggs, who chairs the Dictionary Project at Frankfort Lodge. The Dictionary Project was founded in 1995 by Mary French of Charleston, SC. Its primary focus is to promote literacy to children in third grade as they transition from learning how to read to identifying and using information. Over the course of the program, nearly 15 million third-grade students have received dictionaries including about 2.5 million dictionaries donated in 2009. Elks joined this movement in 2004. Nationwide they have donated more than 1.2 million dictionaries to third-grade students and their teachers as sponsors of The Dictionary Project over the last 6 years. There are 600 lodges that actively participate in the program. Along with contributing to our communities, this project is also a part of the Elks National Drug Awareness Program. Big thanks to Bill and Sandy Moore for their support and guidance, to Leigh Skaggs for chairing this very important project along with help from Mark Ruble and Charlie Cunningham.